Laying tiles has always been a matter of professionals. 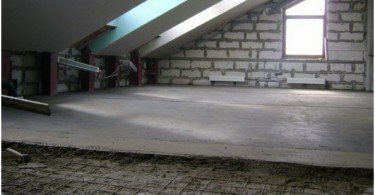 This type of construction works considered to be one of the most difficult and laborious. But with the appearance on the market of special adhesive mixtures all works tiling became an order of magnitude easier. This allowed to perform their own packing, having only basic knowledge and skills. It took skill to handle the tool, attentiveness and accuracy of the work. The main criteria, which have to rely on when laying tiles, became her performance and the right choice of adhesive for tiles. It is the last criterion depends on how long and how strongly will keep tiles. 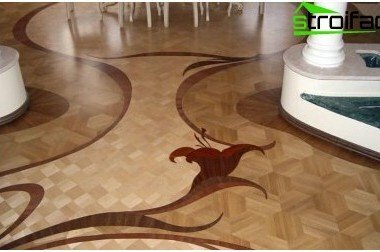 Therefore, before laying should be familiar with various kinds of compounds and to determine which tile adhesive according to better surface appearance and operating conditions. The tiles can be glued? Today, one can find several different types of adhesives. Each of them has its own structure, which determines the performance of the mixture. Adhesives based on cement. This is the most popular type of adhesive mixtures. To cook it you need the water, and the process does not take much time. The elasticity of the mixture may be different and depends on the amount of water added. With it you can lay tiles on concrete, brick or stucco grounds. Also carry out internal and external finishing works. The price of such glue is quite low. Epoxy adhesives. Is a ready-mix without adhesivesolvents, are sold in a paste form. A feature of such adhesives is that they can use for lining ceilings. In addition, they can be used as an anchor, aligning and bonding material for concrete, wood, ceramics, metal, or used for filling and repairing cracks and holes. Dispersion adhesives. As epoxy adhesives, dispersionis a paste-like mixture without solvents. This type of glue is ideal for laying tiles large size and weight. 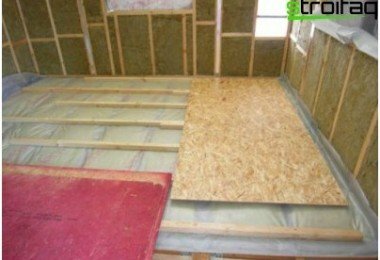 It can be applied to surfaces such as chipboard and drywall. Everything else, this adhesive ideal for fixing various insulating materials. Polyurethane adhesives. This adhesive has a high elasticity and is suitable for surfaces with a high degree of deformation. 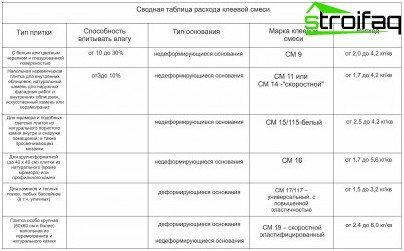 Such adhesives are used for outdoor and metlahskoy tiles, as well as for wood bases. Since oblitsevat tile house can be both inside andoutside, there are special types of adhesives. Facing facades and slabootaplivaemyh premises requires an adhesive mixture of high resistance to different temperature conditions and ability to maintain its adhesive qualities when they change. 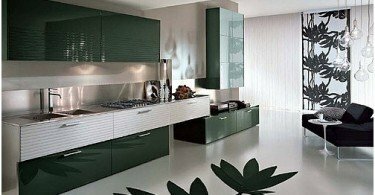 adhesives may be used with normal temperature conditions for the interior furnishings. Manufacturers indicate the minimum and maximum temperature of use of the adhesive. In general adhesives applied at temperatures between + 5 ° C to + 30 ° C.
Important! If you are planning on laying tile surface with a "warm floor" system should be chosen adhesives that can withstand the temperature fluctuations. This option is very important, especially in the case oflaying tiles on a surface with a high degree of deformation. 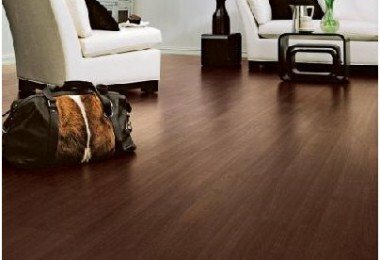 Elastic adhesive will maintain traction with the surface of the tiles, thereby breaking strength of the coating. Adhesives with a high flexibility perfectly suitable for wood or plasterboard substrates. These two parameters indicate how quicklyto be installed in the tile, and how much time is on its adjustment. The suitability of the adhesive mixture may be from 10 to 40 minutes. 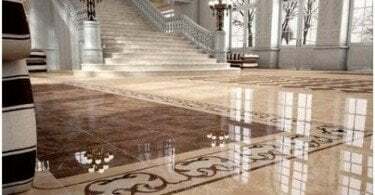 Because sometimes even experienced craftsmen make mistakes, or there is a need to tweak just laid the tile, it is necessary to know for how long the glue allows it. Usually the adjustment can be carried out within 10 minutes, but there are special glues correct position with the possibility of the tiles after 20 - 30 minutes. The most important parameter in the choice of adhesive. It indicates how strongly will stay glued tiles. This parameter is indicated in MPa, and the higher it is, the stronger will be the clutch. Adhesion is important for rooms with high humidity, and facades of buildings. Glue consumption is also indicated on the reverse side of the package. It can be seen as it takes a kilogram mixture for the recommended layer of glue per 1 m2 of surface. The calculation of the area for lining, and having an approximate consumption, gain the necessary amount of glue. Important! 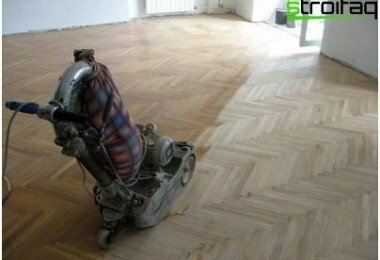 To glued tiles held firmly and for a long time, it is necessary to apply the required layer kleya.Dlya each type of tile has his own. Therefore, when calculating the required amounts of glue mixture, it is important to know which is the thickness of the adhesive layer. To obtain the desired thickness of the adhesive layer, use trowel with teeth of a certain length. Choosing and buying a glue, should be carefullyfamiliarize yourself with the instructions for its preparation and application. 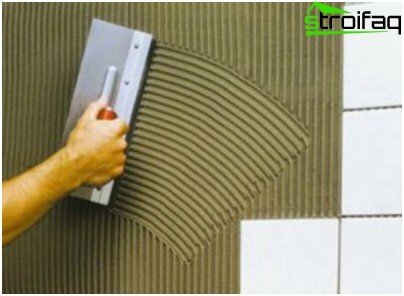 This would greatly facilitate all the work and provide a solid and reliable surface of the tiles with their hands. And in order to reduce consumption, perform preliminary work on leveling the surface. After laying the tiles need to give the glue to dry for about two days, and only then proceed to grouting and installation of furniture.